1.Connect cable to STB or TV. 2.After checking all the connections, turn on the TV and select a TV program, then adjust the dipole antenna accordingly until you get the best reception. 1.A new generation of 0.63inch thickness indoor/outdoor TV antenna design. 2.Functional product to locate on tables or hang on the wall with a hook up. 3.Attached high quality coaxial cable which make it easy to locate the antenna and find the optimal TV signal reception. 4 Compatible with HDTV of various digital terrestrial (DVB-T, ISDB-T, DMB-T/h, ATSC) and DAB/FM radios. 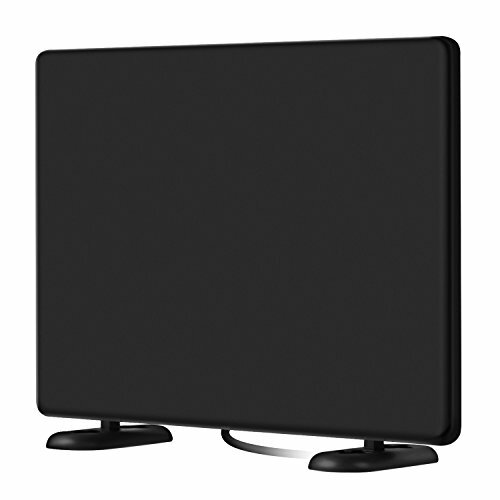 5.100% QUALITY GUARANTEE 30 DAY BACK MONEY GUARANTEE - 12 MONTH WARRANTY: Please rest assured that you have made the right purchase, Our Indoor HDTV Antenna is your best choice. If you have any questions about this product by AliTEK, contact us by completing and submitting the form below. If you are looking for a specif part number, please include it with your message.